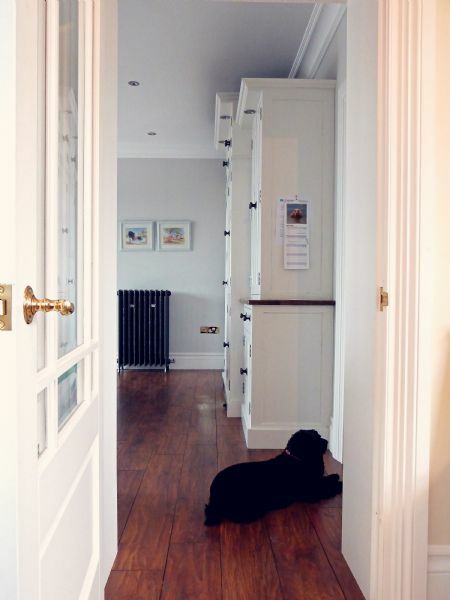 Karen and Russell's new home is beautiful and spacious with an open and light quality. 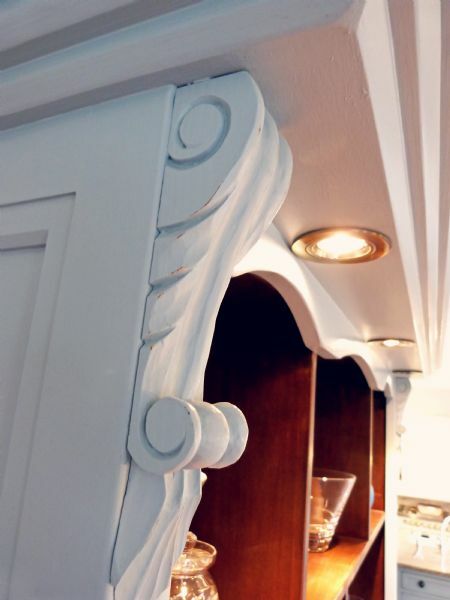 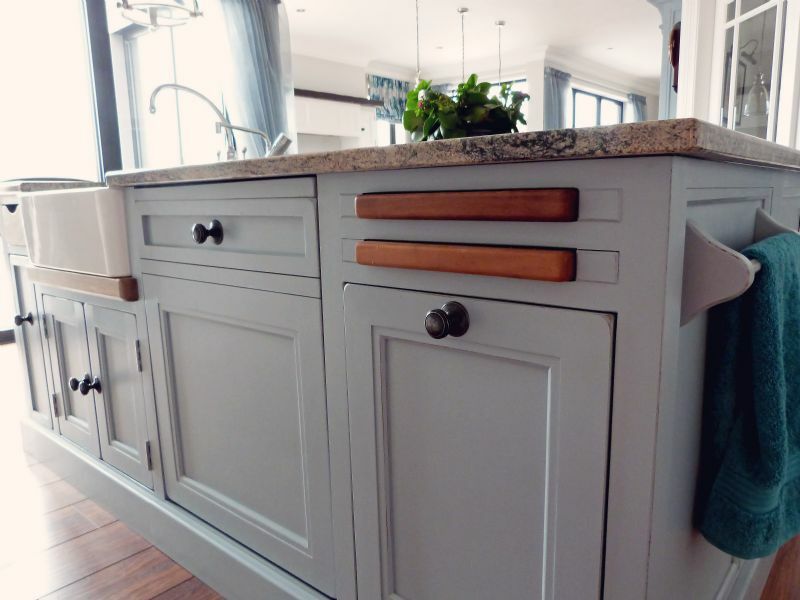 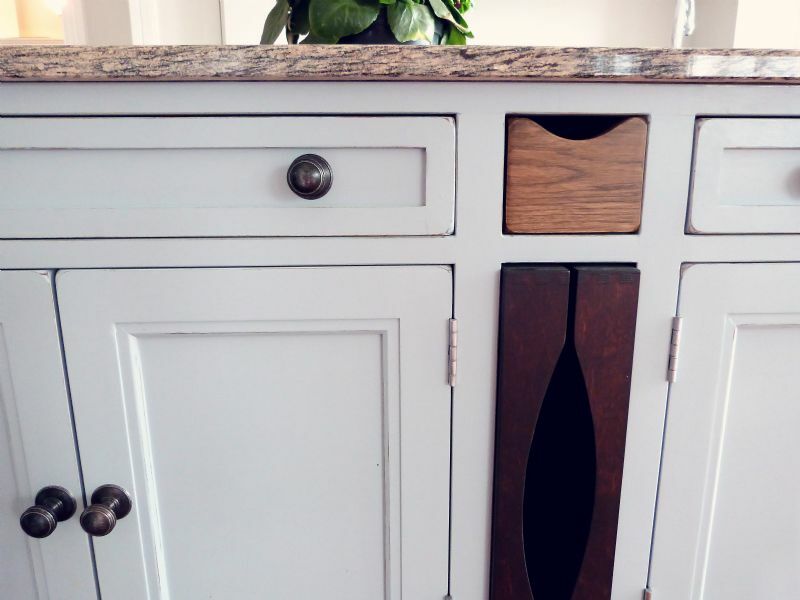 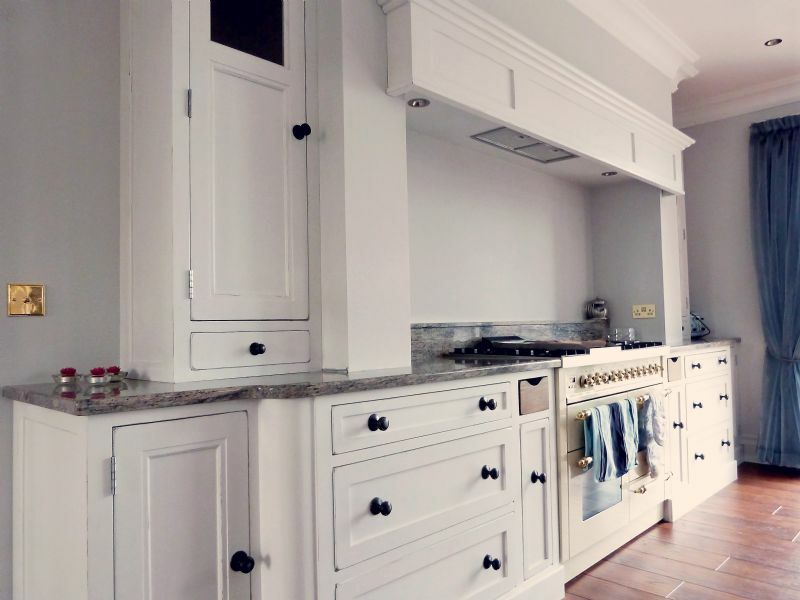 Their kitchen was designed with traditional elements such as simple but decorative cornice and a carved corbel under the breakfast bar that is subtly ornate. 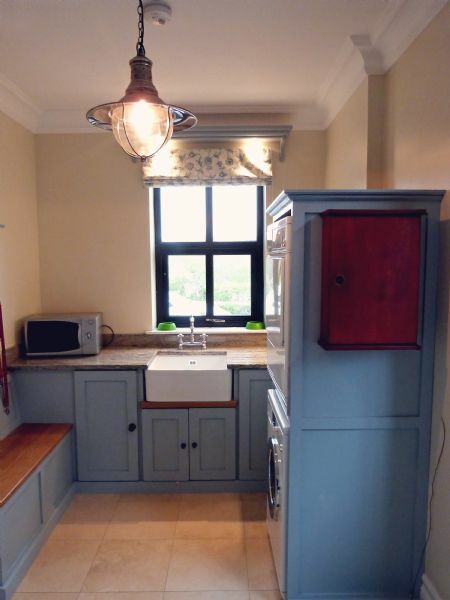 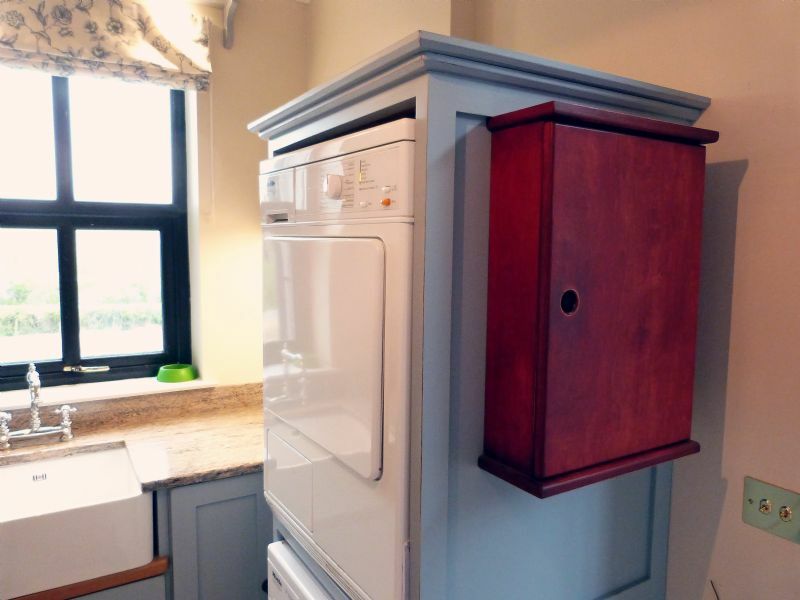 Aside from kitchen units, Russell and Karen also have a Blackthorn table, bench, and chairs in a rustic country style, a beautiful traditional-inspired Blackthorn dresser, and utility room units including a window pelmet, shelving and a clever little seating unit with hidden storage underneath. 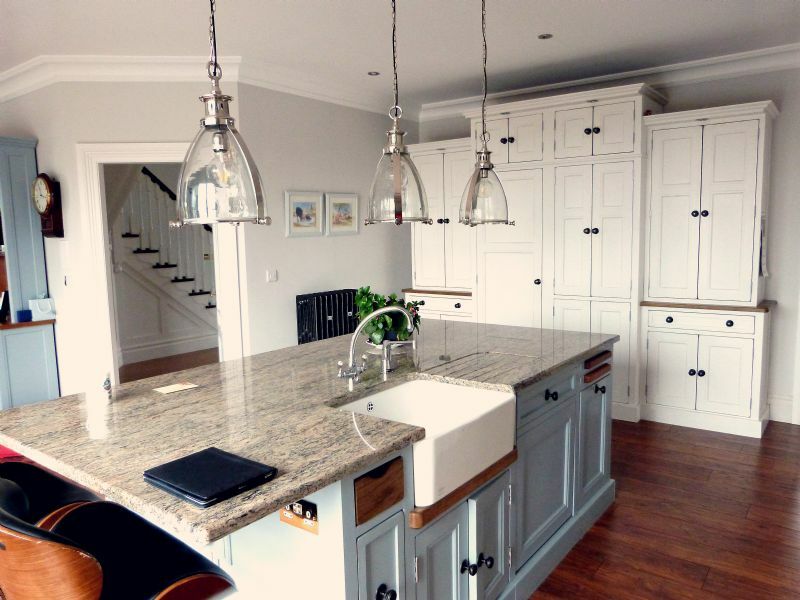 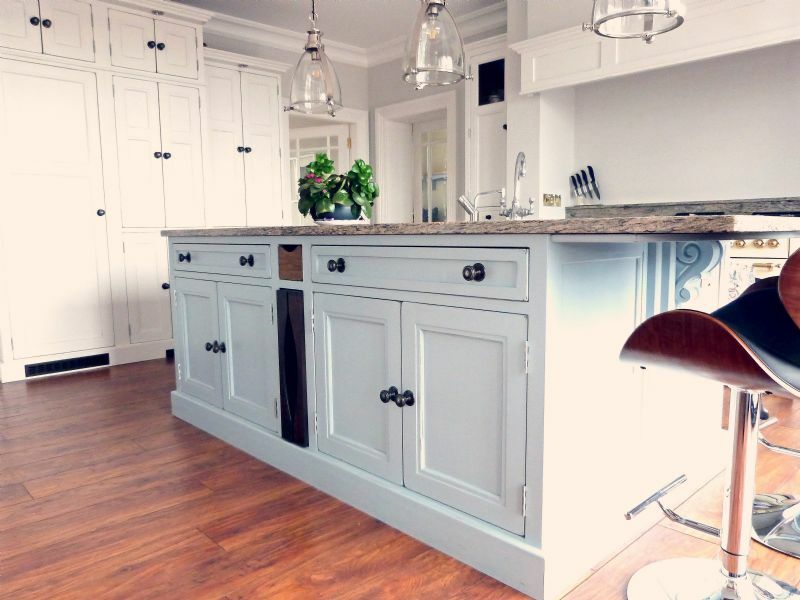 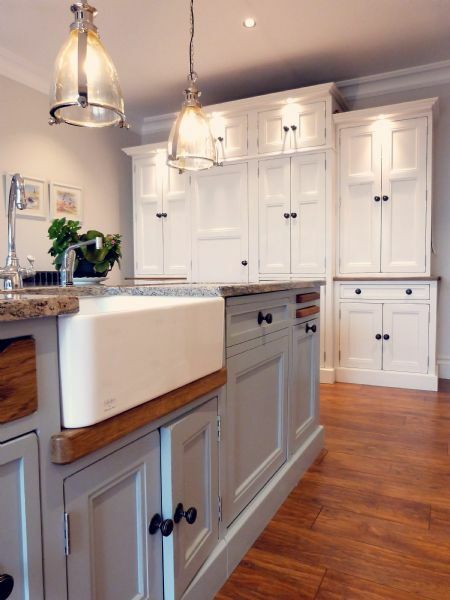 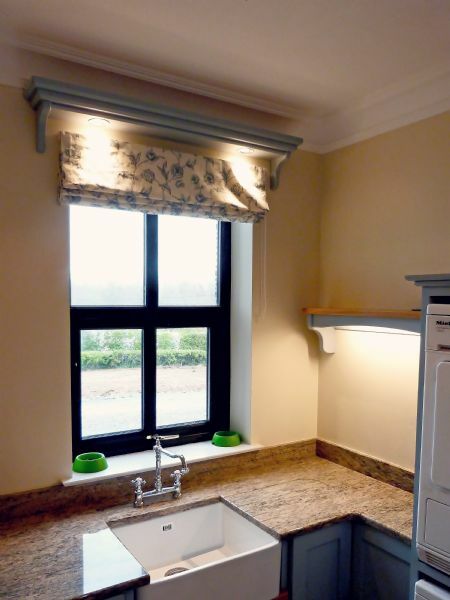 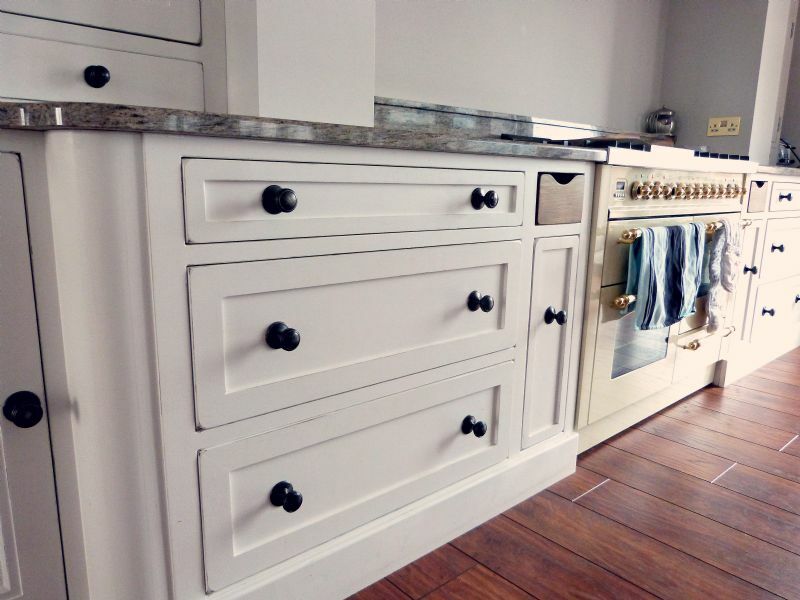 The main kitchen is handpainted in Little Greene's Slaked Lime. 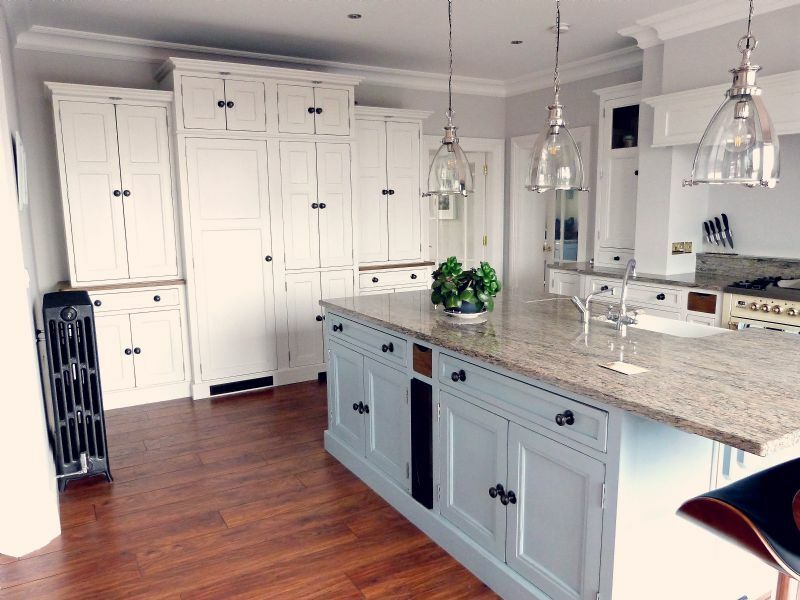 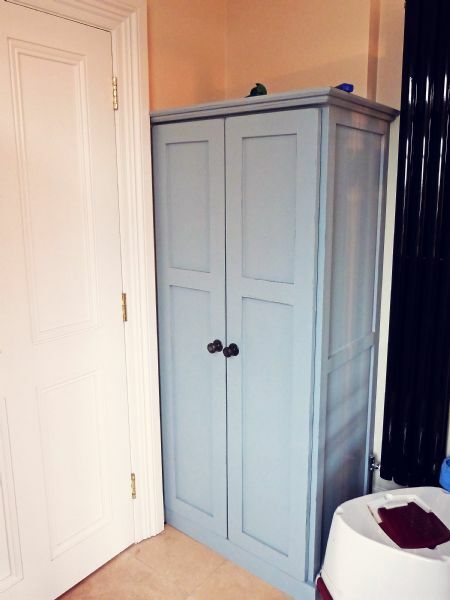 The island, dresser, table, and chairs are all painted in Little Greene's Bone China Blue.